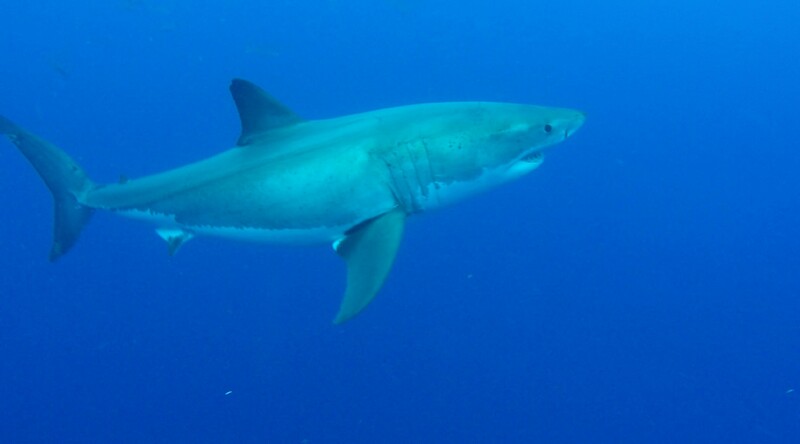 The first great big white sharks of the season have shown up at Guadalupe Island. Each of these big mommas was 16 feet with enormous girth. 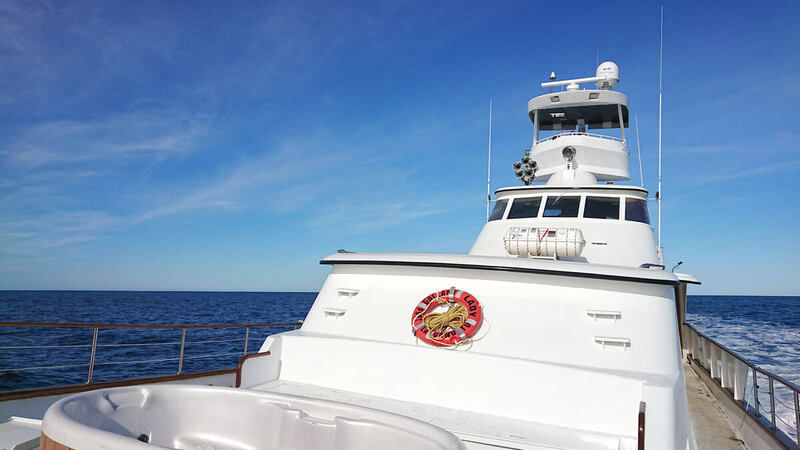 Captain Gordon on our beautiful Nautilus Belle Amie reports 7 individual sharks cruising around the ship this morning including the first of these big mommas. It is very interesting that they have shown up so much earlier in the season than normal. We are wondering if the mommas recently pupped nearby, instead of over at Baja California, ie. Scammon’s Lagoon, Sea of Cortés etc. Our dive masters on the Nautilus Explorer reported seeing 2 tiny smooth baby great white sharks last trip that were <5 feet long (so cute!). I’m very doubtful that newborn great whites would have made the open water trek across from Baja California. Are these 2 big female white sharks the momma’s of the 2 babies that we saw last week? 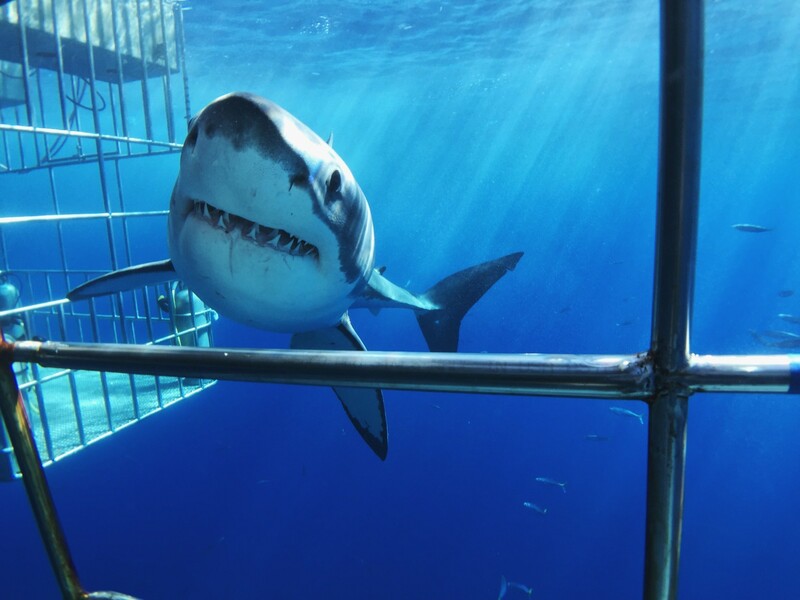 Fingers crossed that a great white shark nursery is rebuilding at Guadalupe Island! I captain mike, I understand that seeing a great white cannot be guaranteed. but let me ask you this, do you remember if the “non” sightings were throughout July to November, or wer the non sighting near the beginning and end of the season? I booked for sep 30 to oct 5th do you recal any non sighting around that time frame? There hasn’t been a trip that we haven’t seen a shark. We have 3 seasons for Guadalupe diving. People ask me when they should go diving and my answer is, “Which season do you want to do for your first trip?” My personal favourite time is the end of July and beginning of August. That is when we typically only have boys and these are rowdy male sharks acting like a pack of teenagers. They are elbowing and pushing each other so to speak. The sharks haven’t seen any divers since the previous November. This is when we get the sharks jumping out of the water, the most sharks around the cages. 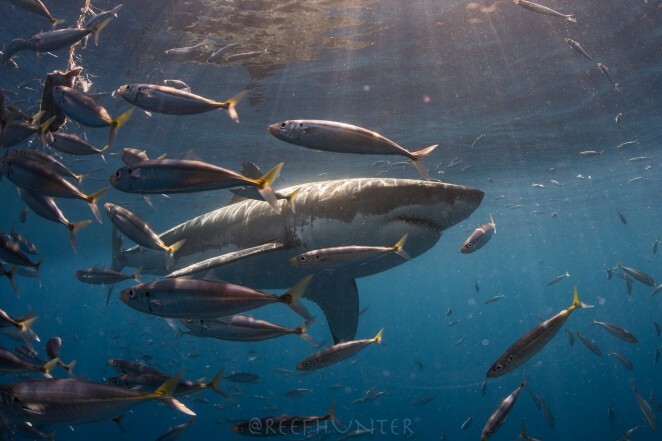 The females show up usually at the end of August or September and so you see more variation in size and more variation in behaviour not as many sharks and when we have the warmest water temperature’s. October is when the big honkin’ females show up. These are the really big sharks. This is probably the most popular time for booking in our experience. These are real really big sharks. You don’t see as many male sharks. Sometimes you get one dominant female shark hanging around the cages for half the day and there are no other sharks around.